Who doesn’t love to enjoy fashion and be in trend with the modern style? But is it possible to find fashion on a budget that suits you? And if that is so, can that budget fetch you some real sustainable clothes? The answer is, no doubt, yes. But when it comes to ethical clothing we really get confused. This article brings to you certain tips that you need to follow to buy affordable ethical clothing. How to Enhance Sustainable Clothes? Wardrobe Swapping: This is something anybody can do but we mostly don’t give it a thought. Instead of buying a brand new dress, you can just swap your wardrobe with someone else’s. Certain clothes stay in our wardrobe in perfect condition but we are too bored of them to wear them again. We can simply exchange those clothes with the ones we love in another’s wardrobe. Donating Unwanted Clothes: H&M store gladly welcomes any old unwanted clothing ensuring that they get a new life. You can undoubtedly donate your clothes to them and be sure that they don’t end up in a dustbin. It’s guaranteed that they would either be properly recycled or be given to charities. Commit to wear at least 30 times: Money is expensive and being an impulsive buyer benefits none. Hence, next time you decide to buy something new, make sure that you really need it and will wear it that often. Do not buy it if it’s similar to something you already own. How to buy affordable ethical clothing: Buying ethical clothes doesn’t require a fortune, but can be achieved in quite an affordable way. Certain stores like H&M have some exclusive collection in pocket-friendly prices. Take care to last longer: Taking good care of your clothes would make them last longer, reducing the need to buy new ones. 30 degree wash and hanging clothes in order to dry them is a small attempt towards achieving this. Airing the clothes before washing them extends their lifetime. Using vinegar to remove stains instead of dry cleaning is another healthy option. 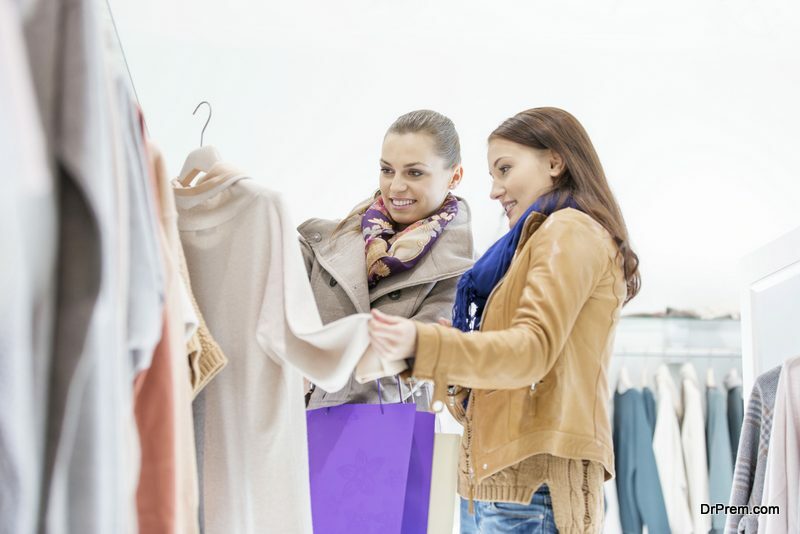 Ensure proper information: Don’t just buy clothes from any random stores, but be properly informed about where, how and by whom the clothes are made. Doing a research before buying your clothes will certainly ensure ethical shopping. Buying Handmade Products: Certain handmade garments are quite affordable and certainly ethical as they are made and sold by home-grown designers. Some online stores for handmade sustainable clothes are Etsy, Farmer’s market, Flea Market, Craft Fairs, etc. Keep a check on the Ethical Flash Sale Sites: Flash Sale Sites offer great discounts on fashionable as well as ethical products, but for a short period of time only. Keeping a check on these sites can ensure a fair profit for those looking for affordable ethical clothing. Such sites include Zulily.com, Fab.com, PureCitizen.com, VeganCuts.com, etc. 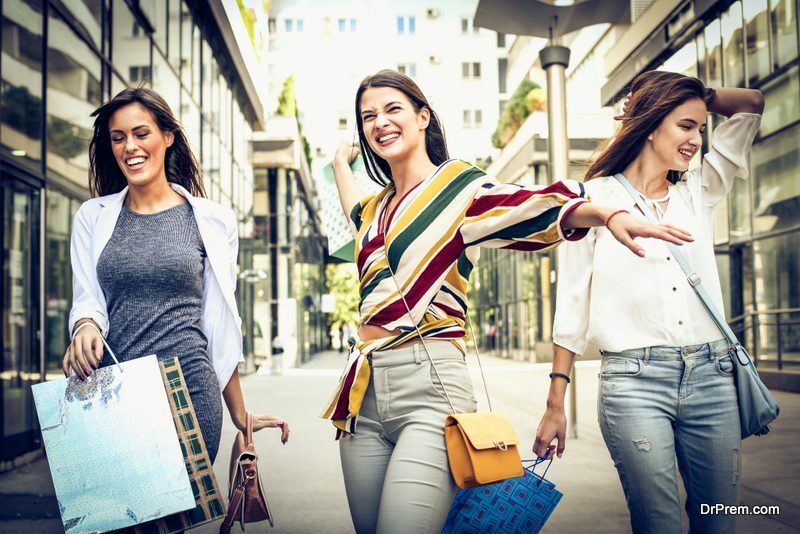 Out of Season Shopping: Shopping for cotton clothes in January and Sweaters in May sometimes fetches good discounts on certain ethical shopping sites. Rent instead of Buying: Another excellent option to buy fashion on a budget and to be in trend while spending less is renting clothes. Certain companies like Rent the Runaway and Caastle provides rental services to its customers. Instead of buying the items, one can simply get them on rent and wear a few times before sending them back. Another brilliant way to find affordable ethical clothing is to shop second-hand. Listed here are certain platforms for doing second hand shopping. Ebay: Being a goldmine for second-hand shopping, one can find real good stuffs here which are both affordable and ethical. Asos Marketplace: Another good place to find second-hand stuffs is Asos Marketplace. Category browsing and setting the slider according budget will definitely fetch some great fashionable clothing. Charity Shops: A lot of charity shops selling sustainable clothes can be found online that are quite affordable and definitely fashionable. Vintage Shops: Online vintage shops serve as a great place to find fashion on a budget. Armstrongs Ebay store, for example, offers good opportunity to customers in search of ethical clothing for reasonable price. These retails even organise occasional sales with great discounts throughout the year. Thus, if one doesn’t find their normal rates affordable, they can simply find fashion on a budget during the sales. Signing up to their mailing lists ensures that their customers get notified whenever there is a sale going on. Not getting carried away during the sale and sticking to the pre-planned necessities will help to keep a check on the budget. How to Buy Affordable Eco-friendly Clothes? Clothes made from eco-friendly fabrics are the most sustainable clothes but the problem is they often come in high prices. Fibres like Lenin, Hemp, Silk, etc. are considered eco-friendly and quite sustainable but are often expensive. But there are ways to shop for fashion on a budget and to find eco-friendly items in an affordable price. Second-hand Stores for Eco Friendly shopping: A lot of online stores like Thrift Stores, Garage Stores, etc. offer second-hand eco-friendly clothing which are quite affordable. Trading your old clothes for someone else’s in certain online swapping sites like Rehash or Swap Style is definitely one good option. Arranging Swapping Parties where friends bring in their old clothes to swap with yours doesn’t even involve the exchange of money. Thus, there are a lot of interesting ways to buy affordable ethical clothing if one is willing to give them a try. 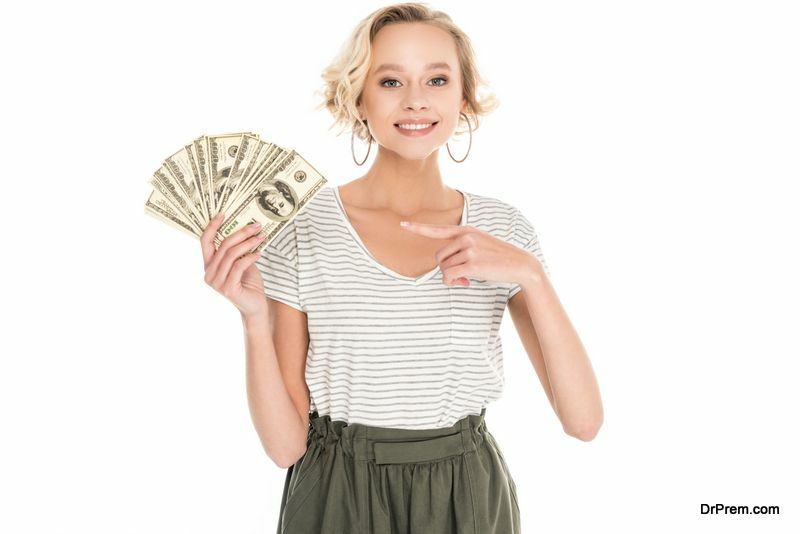 With the above mentioned methods one can simply break the myth connecting fashion with money and being in trend to being expensive.